Great gifts come in small packages. 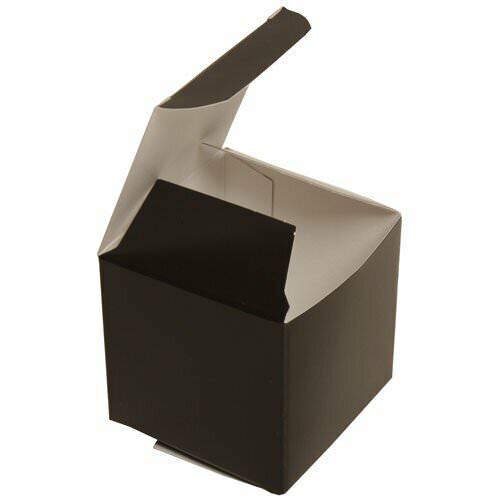 And there’s no better looking package out there than our stylish, versatile 2 x 2 x 2 Black Glossy Gift Box. Fill these with candies or small gifts for a fun party favor that will fit in anywhere from a black tie wedding to a casual birthday party. Their small size makes them perfect to fit on party tables, and can even double as functional place cards. Their size and discrete design also make them perfect for company promotional gift boxes that can even be placed within larger gift bags. And for all those small, but thoughtful, gifts you plan on giving your loved ones, these boxes are a great way to dress them up in style. Sturdy and fashionable, you won’t run out of uses for them. And since these versatile little packages are available in packs of 10, you can easily stock up on a bunch, fold them flat, and take them out as needed.